Workshops are entirely dedicated to musical awakening. Designed for a group of 10-30, workshops are intended for children between 3 and 7 years. Parents can choose to participate or not to participate in the workshop. Contact us to receive schedule ! LAMI Workshops can be created by yourself. 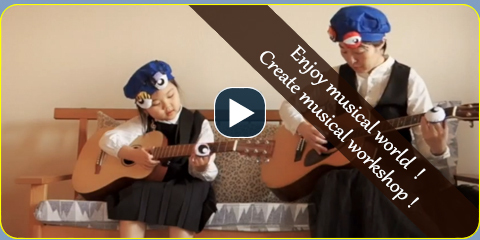 Here is a workshop created by Rio Suwa for her daughter Tomoka. Interested in creating a LAMI workshop ? 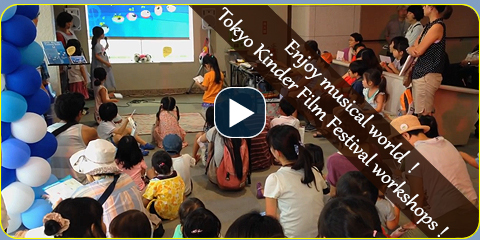 10 workshops were done during the children film festival in Tokyo : Kinder film festival, 2014. 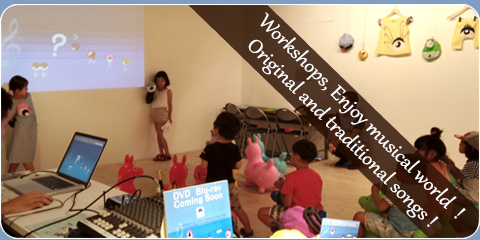 Musical workshops were done before each movie screening. 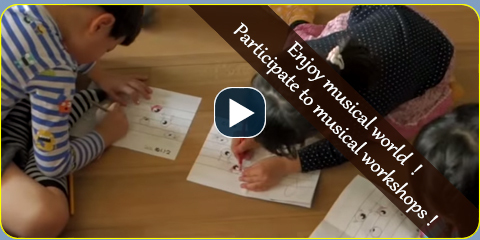 Children enjoyed the musical world and started to differentiate sounds. A 5 hours workshop was done at Setagaya Monotsukuri Gakko, Tokyo, 2014. 1- Understanding of the story. 2- Design and placement of notes on a score. 3- Songs and ear's training.